Breast cancer in men is rare. But it’s a disease most men can’t detect easily or feel comfortable talking about, as a result of which treatment is often very delayed. He was a chubby teenager, with a prominent right breast, and everyone told him the chubbiness would go away with age. The ignorance led to the 45-year-old telecom engineer, Sanjay Goel, ignoring the symptoms that later led to a full-blown breast cancer. 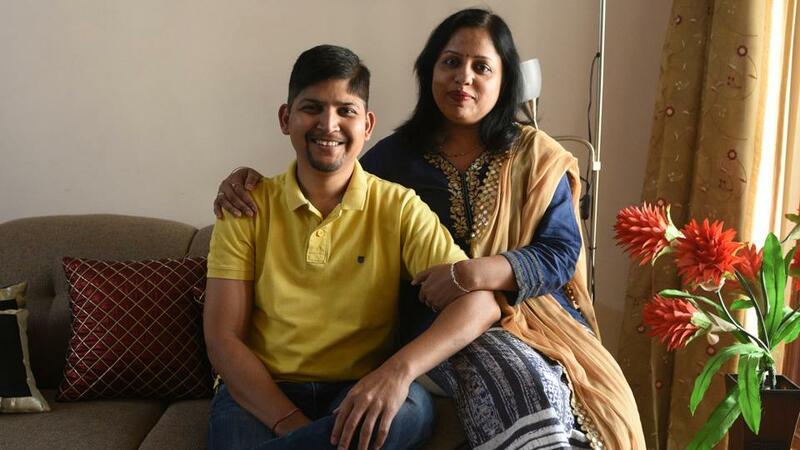 “I always had warning signs coming— at 24, I noticed fluid discharge from my right breast and by age 30 there was a lump, however only when bleeding happened I decided to consult a doctor,” says Goel. As luck would have it, Goel’s doctor also did not pick up the warning sign either, and put him on a course of antibiotic. “After taking antibiotics, the symptoms subsided temporarily but returned after almost a year. He again asked me to repeat the medicines. I changed my doctor when I developed pain in my breast,” he says. Goel consulted a family friend who was a surgeon. It was in 2010. “He looked worried and asked me to get a specialized test— Fine needle aspiration cytology (FNAC), done. The result was positive for cancer, so I underwent a surgery,” he says. The biopsy also confirmed stage-II cancer that was spreading. after we saw the reports, my wife and I just sat silent without uttering a word. It was difficult to accept for me as I used to lead a pretty healthy lifestyle. In fact, I was big-time into Yoga, so the diagnosis was a shocker,” he says. After the usual chemotherapy and radiotherapy, Goel was put on hormone therapy that is still on. Breast cancer in males, though rare, is a disease most men can’t detect or feel free to talk about. “I don’t chance upon more than one case in three months, but those are generally cases that get diagnosed quite late,” says Dr Ashish Bakshi, senior medical oncologist at Mumbai’s Dr LH Hiranandani Hospital. While in men about 2% of all cancers is of the breast, it is the most common cancer among women, say experts. It is also rare that it occurs in someone below 35 but if any female relative in the family has had a history of breast cancer, then the men should always be looking for signs, he adds. Men are less likely to be suspicious of anything happening in that area, so they could miss the lumps in the early stage, says Dr Vinod Vij, plastic and cosmetic surgeon at Hiranandani Hospital. In men, their small amount of tissue makes it harder to detect cancers but that also means that tumours could spread more quickly to other parts of the body. “However, most male breast cancers respond better to treatment than women, especially to hormone therapy, so men should never be scared of firstly admitting they’ve discovered a lump in their breast and secondly talking to their family and friends about it,” Dr Vij adds. Treatment outcome will be better if people saw a doctor in time. 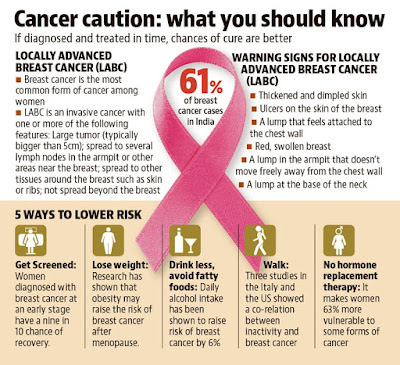 “More than 60% cases of breast cancer come to specialists at stage 3 and 4, when cure rate is a dismal 14-49%,” says Dr Sameer Kaul, senior cancer surgeon at New Delhi’s Indraprastha Apollo Hospital. Doctors always emphasize on early detection as successful response to treatment is as high as 95% when cancer is detected in stages I and II. Also, it can help save the breast in most cases if the cancer is detected early. 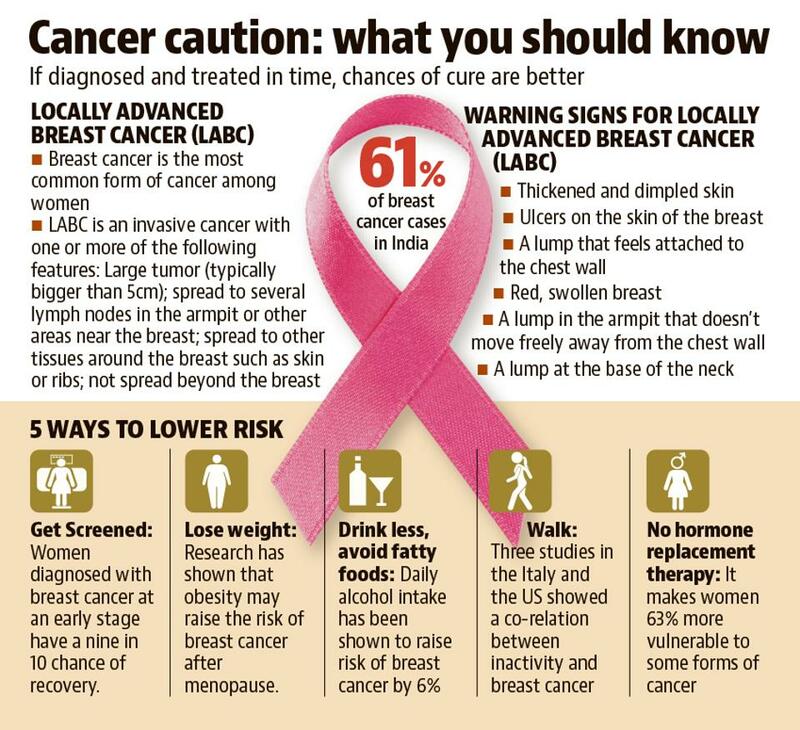 October is considered as the breast cancer awareness month, and doctors feel it helps in spreading awareness. Cancer is spreading like an epidemic. Based on the consolidated cancer registry reports by Indian Council of Medical Research (ICMR), the data shows India reported an estimated 14.5 lakh new cancer cases in 2016 alone, killing 7.36 lakh of them as barely 12.5% of those suffering from the condition get diagnosed early. Since last registry that was updated in 2011, there has been a jump of 3.5 lakh first-time cancer cases reported in a year. By the year 2020, the cancer figures are expected to go up to 17.3 lakh new cases in a year, proving right the prediction that cancer will top the list of non-communicable diseases plaguing India in another five years. Mouth and lung are top cancers found in Men and women mostly suffer from breast and cervix cancer. Breast cancer is the most treatable cancers, and with advances in diagnostic techniques that help in providing targeted therapies, cure rate has gone up. “Gene testing has definitely made a difference as you can better plan treatment as it tells whether the drugs would work or not, what type of cancer we are dealing with and even predicts chances of developing cancer etc., but these are expensive tests that start from about Rs 30,000 and can go up to Rs 3.5 lakh. So, we are talking about a treatment that runs in lakhs of rupees if not crores,” says Dr Kaul. A section of doctors feels gene profiling such as BRCA 1 or BRCA 2 for breast and ovarian cancer should be used sensibly. “We have to use this tool as a weapon to fight the disease and not as a tool to spread scare or spread panic,” says a senior doctor from Delhi’s All India Institute of Medical Sciences (AIIMS), where most patients are from a poor financial background. These tests are especially not feasible for patients visiting government hospitals. “We treat poor patients who find it hard to pay even a few hundred rupees at times. 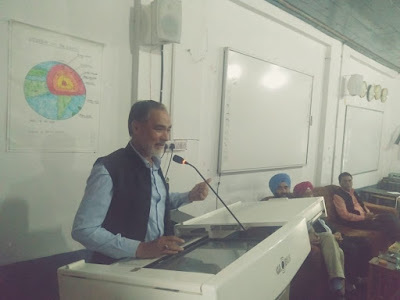 For our patients we can make a difference in treatment outcome with regular medicines also, provided they reach us early,” said a senior cancer doctor at the All India Institute of Medical Sciences (AIIMS) in Delhi. Cancer is definitely not a death warrant anymore as it was thought earlier. “I am a prime example that there is life beyond cancer. In fact, I feel earlier I would just pass time, now I am living life. I am traveling, doing Yoga and everything else that I wasn’t doing before. My wife and I have even adopted a girl child and are really living life to fullest,” says Goel.